This article explains the happiness and overwhelming sense of peacefulness that comes with cycling through solitude above 5,000m in the Indian Himalayas, a region I absolutely loved and think about often. After months in the overcrowded flatlands of India and Nepal, I am more than ready to retrieve that feeling of bliss once more as I head back into the region in a few weeks. 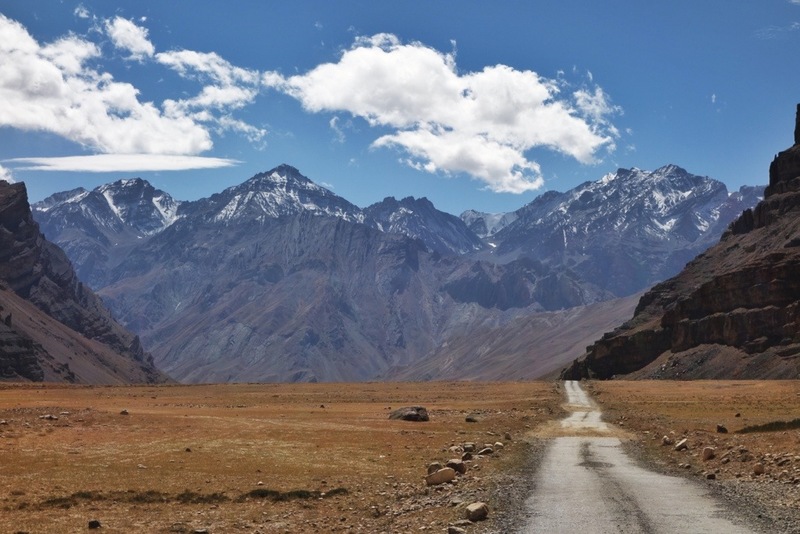 This entry was posted in India and tagged cycle touring Ladakh, cycling Himalayas, cycling India, cycling India solo, cycling Ladakh, cycling Ladakh solo, Indian Himalayas by The Wandering Nomads. Bookmark the permalink. I agree with you that if you are trekking, you should carry your own things. Please take care of your feet! You took great care of your bike as it was very important to you to get around. Now your feet are the ones carrying you. It is critical that you keep them dry, warm and protected. At least wear what the Sherpa’s are wearing. Stay safe and be smart on this leg of you adventures! Ironically enough the Sherpas wear flip flops or tiny little shoes even in the snow! Luckily I was able to have y feet heal and happily continue along my way.